AFTER pausing for breath in the previous quarter, Scottish house prices are once more on the rise, according to the latest Scottish House Price Monitor from Lloyds TSB Scotland. In the three months to 30 April 2008, the quarterly price index for the average domestic property in Scotland rose by 2.3 per cent to give an average mix adjusted Scottish house price of £163,639. On an annual basis, Scottish house prices have risen by 11.6 per cent. The gain this quarter combined with the fall in the previous quarter gives an average price change over the last six months of +1 per cent. The north of the country is leading the rise with Aberdeen reporting an annual increase of +19 per cent and the North excluding Aberdeen a very strong +26 per cent. Though Dundee is the only area to report a fall this quarter at -5.2 per cent, the figure for the last twelve months demonstrates the underlying strength of the market at +18 per cent. With Central/Fife/Perth and Tayside reporting a robust annual rise of +13 per cent and Edinburgh +12 per cent, any slowdown in the Central Belt looks modest. Only in Glasgow, the South West and South East are annual figures somewhat lower. However, with all three areas reporting rises in the quarter ranging from +1.4 to +9.4 per cent, the Scottish housing market is portraying a more positive picture than elsewhere in the UK. Prices are not falling, but the rate of rise is slowing. The price movement across Scotland is composed of price changes in different property types. Flats are showing an increase of 4.1 per cent in the quarter, detached properties an increase of 3.2 per cent and semi-detached properties an increase of 1.0 per cent. Only terraced houses show a fall in the quarter of 2.4 per cent. 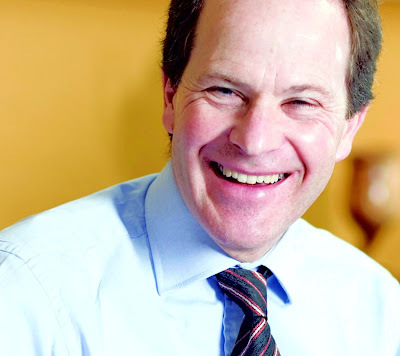 Lloyds TSB Scotland chief economist Professor Donald MacRae said: “Following last quarter’s pause for breath after seven years of house price increases, the average Scottish house price is again on the rise. However, the rate of increase has slowed substantially to a much more sustainable rate. 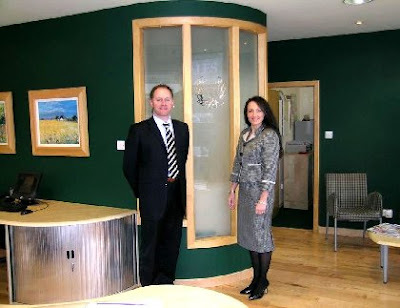 Steven Miller and his wife Jacqueline (pictured above) are directors of leading Ayrshire estate agents Donald Ross. Steven commented: “In general the Ayrshire market has had a good start to 2008, however the market has slowed somewhat as buyers and sellers wait to see the outcome of the recent publicity. “The local market is much more buoyant than the press is reporting nationwide. South Ayrshire is a very robust market and still continues to offer buyers excellent value for money coupled with some of Scotland’s finest amenities, including championship golf courses, sailing, fishing and an excellent selection of award winning restaurants and hotels. 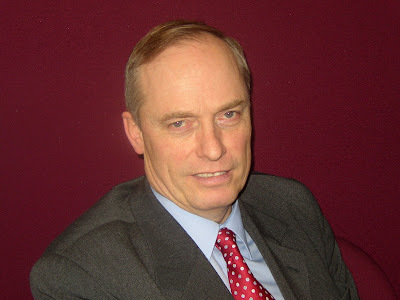 Bob Cherry (pictured above) is a partner in property consultants CKD Galbraith, based in their Ayr Office. Looking at the latest figures from an Ayrshire perspective, Bob commented: "The market in Ayrshire has been quieter and slower in the first part of 2008, although we are seeing a pick-up in sales this month with the better weather. "Our experience is that properties of quality and individuality continue to sell well, provided they are marketed at a realistic guide price. "Viewers are plentiful - but more cautious,selective and discerning as prospective buyers than in previous years. "There is life in the market yet - professional marketing and sensible pricing is the key."